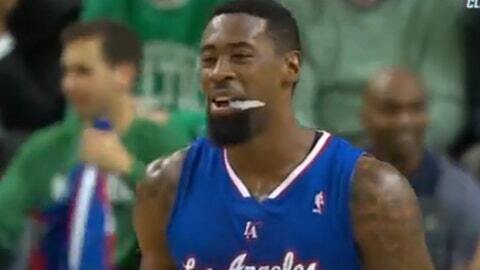 DeAndre Jordan usually doesn’t have a problem throwing down an alley-oop. Well, things didn’t go as planned during Wednesday night’s game against the Celtics. The play began like many other DeAndre Jordan alley-oops have started. Chris Paul drove to the hoop, saw his big man’s eyes open wide, and lofted the ball toward the hoop. Don’t you just hate when you do that? Oh, you’ve never done that? Neither have we. Funny thing is, it might not be the most embarrassing moment Jordan has had this week.